Find soy milk in a variety of flavors in the refrigerated section. Soy milk is becoming a popular alternative to dairy and not just for people who are lactose intolerant. Although not technically a milk, the drink is creamy, rich and packed with nutrition. More people are turning to this plant-based protein beverage for its health benefits, including reducing cholesterol and boosting heart health. A high-quality protein, soy is one of the only known plant foods that has all of the essential amino acids. These organic compounds form proteins, also known as the building blocks of life because they are so essential to the body's muscles, tissues, hormones, enzymes and processes. 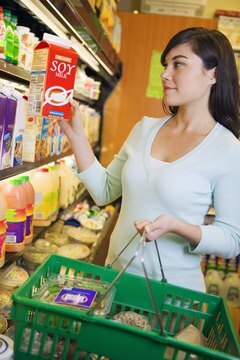 The body can't make essential amino acids, so they have to come from your diet, and soy milk is a great source. Products made from soybeans, like soy milk, lower lipoproteins and blood cholesterol levels. Both of these are risk factors for cardiovascular disease. An analysis of 38 clinical trials showed that getting 31 to 47 grams of soy protein can lower blood cholesterol levels by up to 20 percent. That may sound like a lot, but it is actually the equivalent of having just two to three servings of soy products. Have a glass of soy milk at breakfast lunch and dinner and you can easily reach that goal. 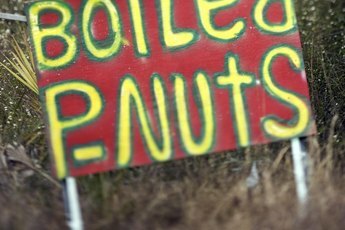 Hot flashes are miserable for menopausal women, but the hormone-like substances in soybean products can reduce their frequency. A diet rich in soy products, like soy milk, can reduce the rate of hot flashes by as much as 45 percent. For best results, get at least two to three servings each day. Cow's milk is a great source of calcium, and soy milk has just one-sixth of the amount of calcium of cow's milk. However, producers fix this problem by fortifying soy milk with calcium to bring the amount up to par with cow's milk. Although the essential nutrient is not naturally in soy milk, people actually absorb 75 percent more calcium from soy milk than cow's milk. 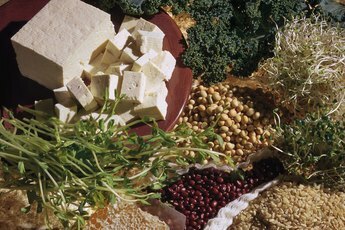 Plant proteins, like soy, are good for the waistline. Protein can make you feel fuller for longer, and people who make soy-based products part of their regular diet may eat fewer calories during the day because they feel full for longer. Women over the age of 19 should get 46 grams of protein per day. An 8-ounce glass of plain soy milk has 7 grams or just over 6 percent of your daily total. Poppy Carpenter graduated from the University of Missouri School of Journalism. In addition to teaching journalism to junior high students, she also covers health and fitness for "PUSH Monthly" and Angie's List. What Is the Most Bioavailable Source of Protein? What Nutrients Do You Get From Cantaloupe & Honeydew Melon? Does Chia Seed Contain Tryptophan? Does Fiber Give You Gas? What Are the Benefits of Icelandic Yogurt? 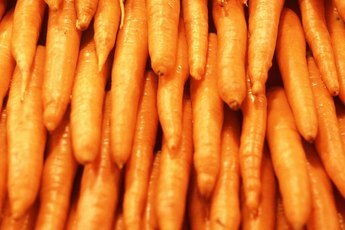 Can Becoming Vegetarian Be Cheaper Than Eating Meat? Is Egg Drop Soup Healthy? Does Fiber Not Get Absorbed? 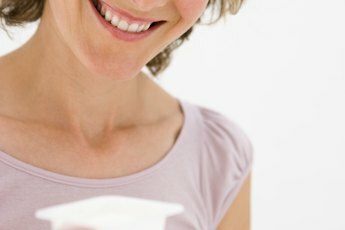 What Are Some of the Benefits of Eating Yogurt on a Regular Basis?